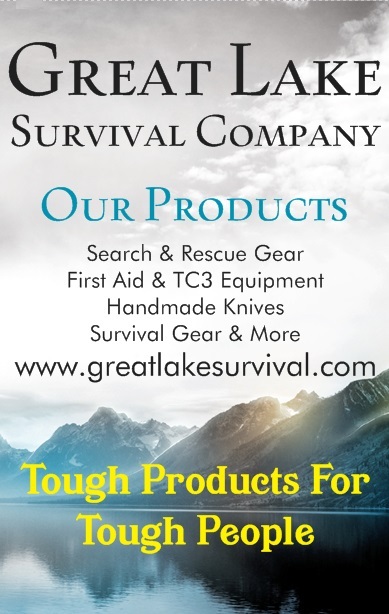 Our Goal is to offer the best Outdoor, Search & Rescue and Survival gear at the Lowest prices. We won't sell gear that we haven't personally tested and/or use regularly. Life's too short to mess with less than superb gear. Join Positive Trend Preparedness on Patreon ! Pound for pound this is one of the most serious knife set ups we've had the pleasure of handling. Compact enough to have with you all the time, big enough to chop through tough wood and vegetation. Comes shaving sharp out of the box. Take a look. *This compass is a GLSC favorite. Built like a tank and loaded with extra features! Secure website SSL transactions are handled through Paypal.com.